Turn your crockpot on high and put a couple tablespoons of butter and a splash of olive oil in the bottom. Chop up the onions, shallots and garlic and put into the crockpot, stirring to coat. Put the lid on and put a dishtowel over the lid. Leave it for 2 hours or so, stirring occasionally. After 2 hours, add 2 teaspoons of sugar. Stir it in good, put the lid back on, cover with the towel and go another 2-3 hours, stirring occasionally. Onions should be semi-transparent and golden brown. Next, add the following, in order: 1 tbsp all purpose flour; 1 tbsp red wine vinegar or sherry vinegar; 2 tbsp brandy; ½ cup dry white wine or white cooking wine; Stir all of this together, then add: 1 large package of beef stock (about 32 oz) and 2-4 cans of Campbell’s beef consomme. Toss in 2 beef bouillon cubes and stir everything together. Last, chop up some fresh thyme and add to the soup with whatever salt and pepper spices you want. Option to add: chopped cilantro, chopped green onions (3” slices). Toss those in. Next is up to you: you can cook it on high, but not recommended. Low is better, leaving it to cook all night on warm is best. Next day: stir, sample, tweak and eat! Put some type of bread or croutons on top, and cover with cheese, like provolone or swiss. Stick it under the broiler for a minute to brown the cheese. FINALLY! The cards are finished + they look beautiful! I'm so ecstatic with how they turned out. I had so much fun collaborating with Meredith of Sea Heart City Press from start to finish. Here are the winning designs! Thank you again to everyone who entered. There were so many great ideas, it was hard to choose the winners. 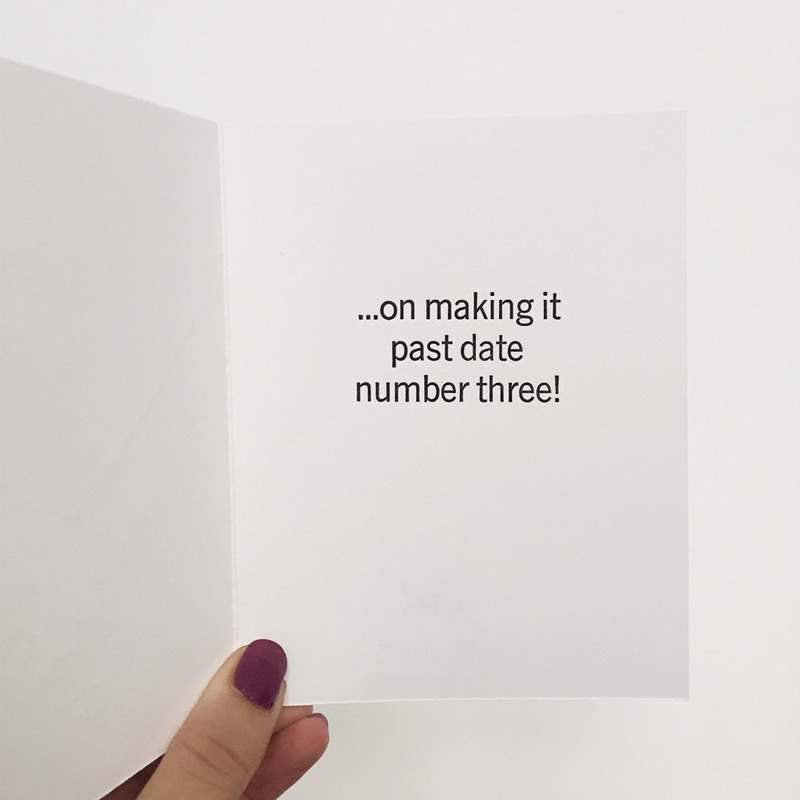 Will Van der Veen came up with, "Congrats on making it past date 3!" You can buy that one here. 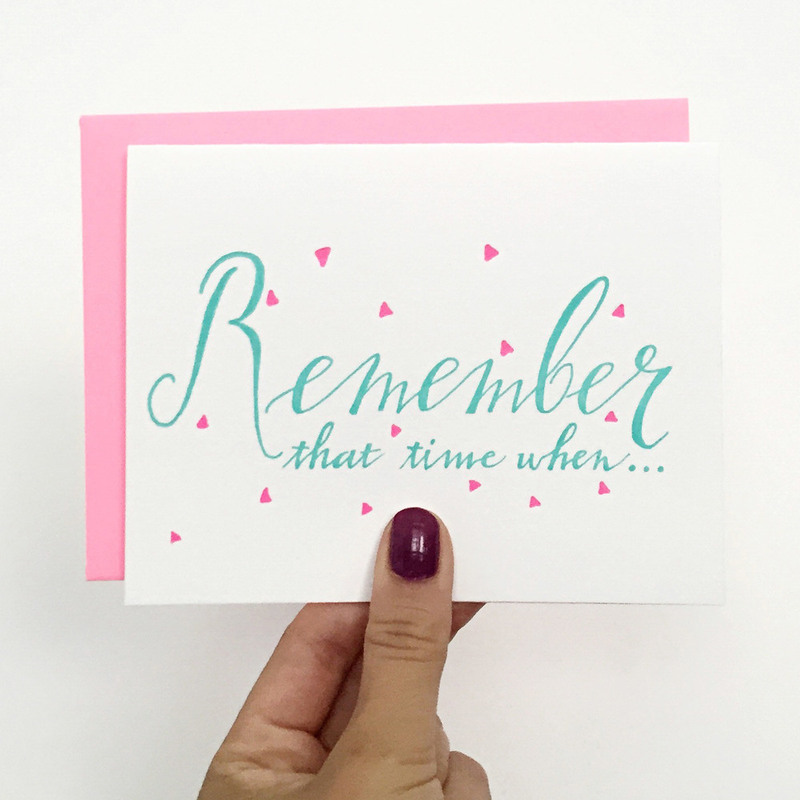 Amy King came up with, "Remember that time when..." Click here to buy that one! 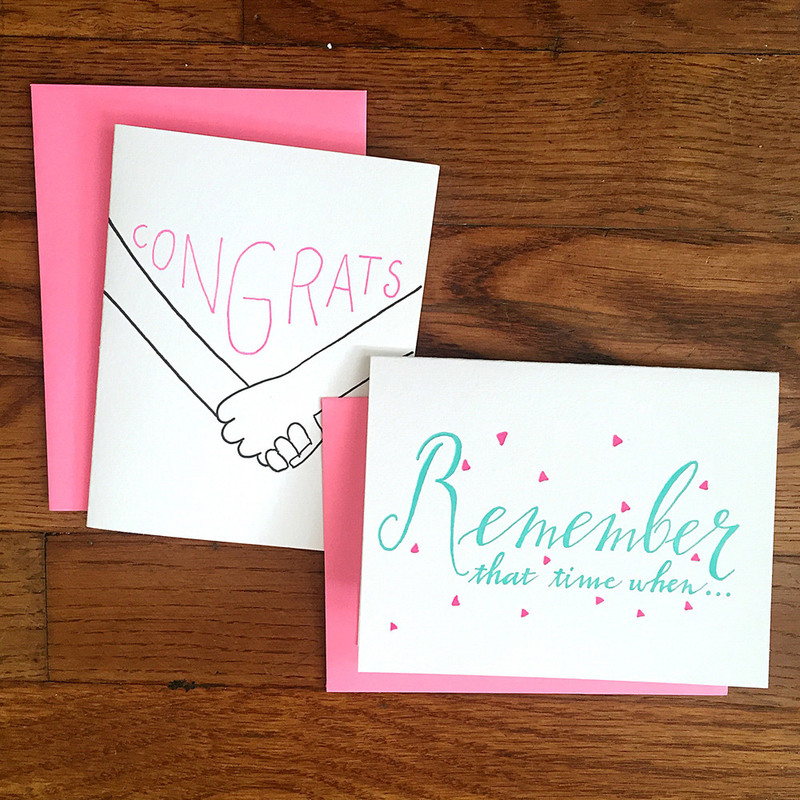 Meredith and I got together a few weeks ago to design the cards. We both came with several ideas and this is what we came up with! We printed these last week and they will be available in her shop, for purchase. The cards will be $5 each! Card Contest W I N N E R S! Photo by Sea Heart City Press. Drumroll please... the results are in! Meredith of Sea Heart City Press & I got together to go over the 50 submissions we received (Seriously! You guys are awesome!). Thank you to EVERYONE that submitted an idea. There were so many great card ideas that it was so hard to narrow it down to one winner... so we picked two! We also have some honorable mentions that we think are too good not too mention. Meredith & I will be getting together to design the two winning card ideas! 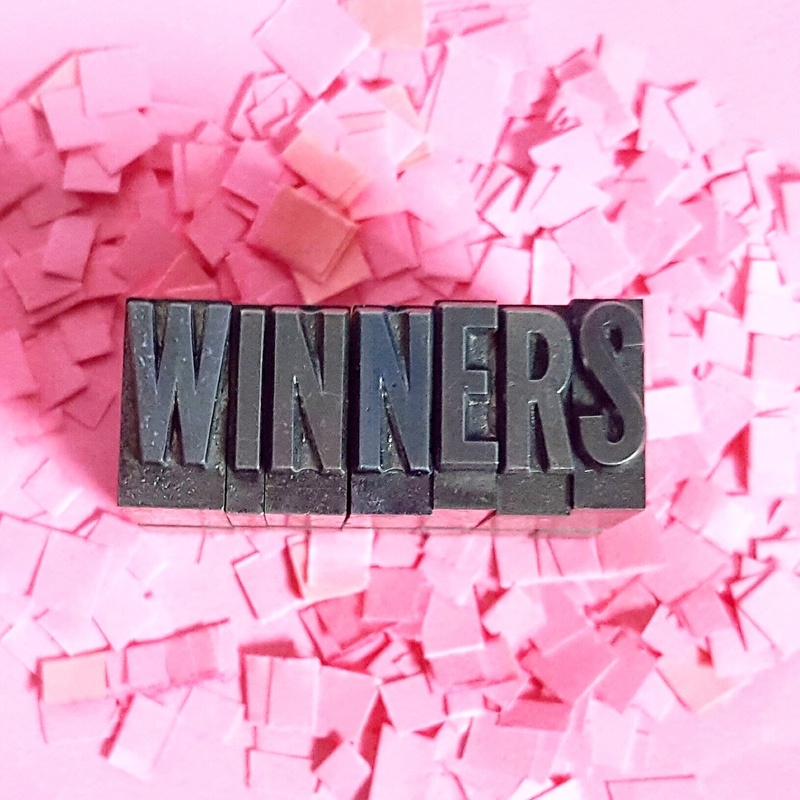 Those winners will have their name on the back of the limited edition runs in Sea Heart City Press's shop. I will update you all when those designs are done and ready for purchase! 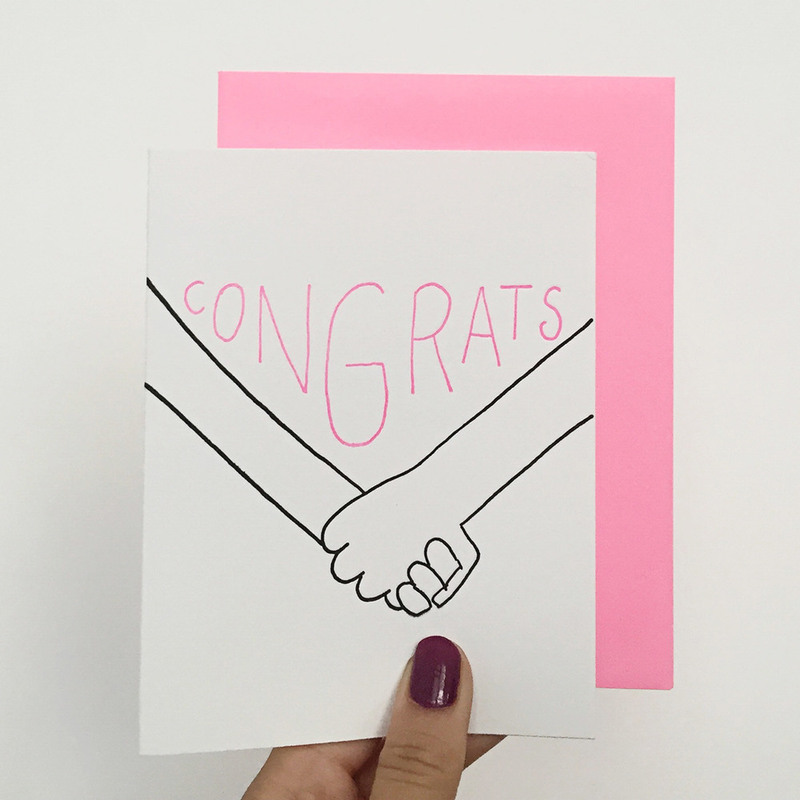 Both winners will receive two copies of their card idea and a personalized pack of stationery! Congrats again. My friend, Adrienne sent me a link to ShopAffect one day and I immediately loved this shop. It fits in so well with Simply Gifted. 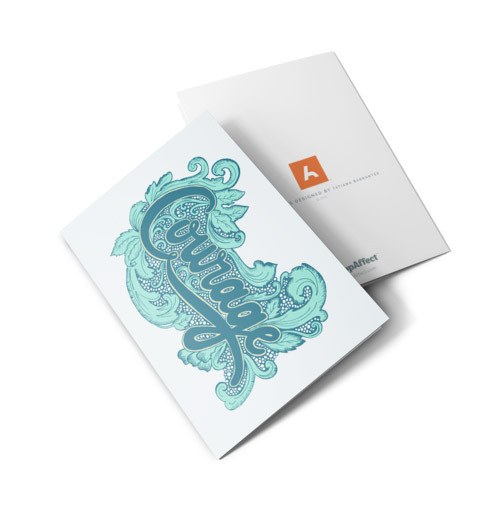 If you buy a card, a free card of encouragement is sent to someone. You can choose who you want the free card to be sent or you can just send it where it is needed most. 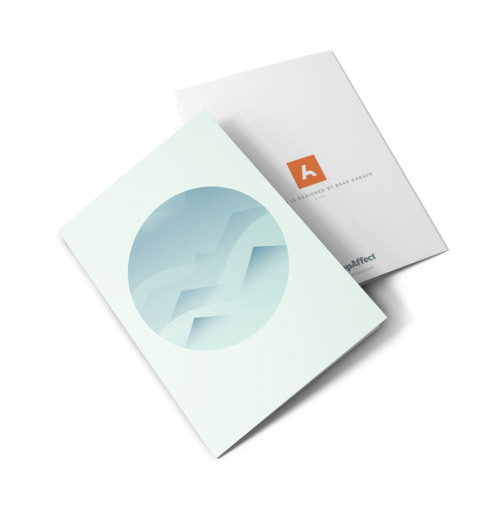 In addition to the free card being sent, ShopAffect also donates 10% of profits towards a charity you select. There are several charities you can select! You can fight Hunger, Add Jobs, Give Water, Provide Healthcare or Support Education. 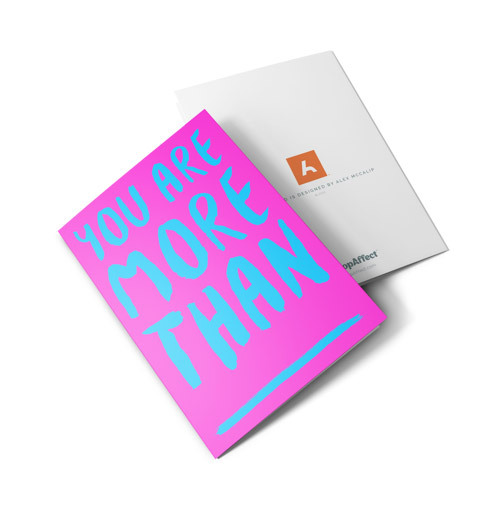 There's more available on ShopAffect than just cards, check it out! * All prices are approximate.